Camp is all about fun and family! Camp Runamuk is a camp for families who have children with special needs. 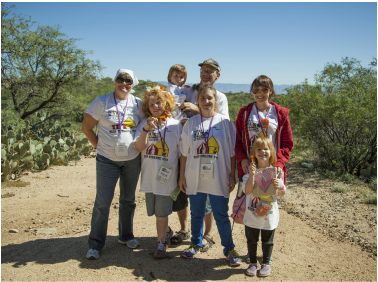 All aspects of the camp are specifically tailored to the individual needs of each family member attending so that no one is left out of any part of camp! We take into account any special diets, medications, physical limitations and much more to ensure that everyone is able to enjoy each aspect of camp to the fullest! Camp Runamuk is run by staff experienced in working with children with special needs. Camp Pals are assigned to each camper with special needs. Your child's Camp Pal will become acquainted with your child's specific needs, medical requirements and interests in order to help your child have the best possible experience. Never been camping before with your special needs child? No need to worry! We'll assist you through the whole process.